Bald Rock Beef Jerky is made from lean, Australian grass-fed beef. 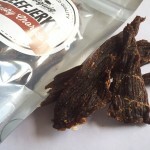 It is marinated and dried using an ancient drying process that preserves the jerky’s natural flavours. In 2001 I created an original recipe, which quickly became popular among friends and family. Bald Rock is the name of the family cattle property where the beef jerky originated. 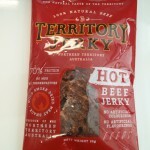 Bald Rock Beef Jerky currently have only the one flavour – Original, but plans are being made to introduce a chilli flavour shortly. 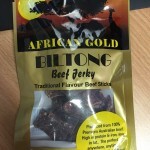 My interest in beef jerky all started out when I was 13 and I visited Zimbabwe where I was intrigued by the ancient process of drying meat that was so common and popular there. In Australia on the rare occasion that I saw jerky for sale (at supermarkets and service stations), I would buy it to share with my school mates. I had a strong desire to make my own beef jerky almost from the outset. I bought a food dryer when I was 18 and with the help of my mums cooking expertise I created an early recipe. For several years to follow I experimented with and changed my ingredients and perfected my all natural recipe. Then in 2001 I created the best batch ever. This batch was to be the standard for all future batches. I was inspired by the feedback I received from family and friends and I now want to give Bald Rock Beef Jerky to the world.